Fortnite on Android will not make use of the Google Play distribution platform. Instead, Android users will have to download an installer from the Epic website and get the game on their device manually. Of course, you’re probably still going to play Fortnite on PC, but Epic’s philosophy around distribution on “open platforms” also applies to their approach on computers – and reinforces just how big Fortnite has become. 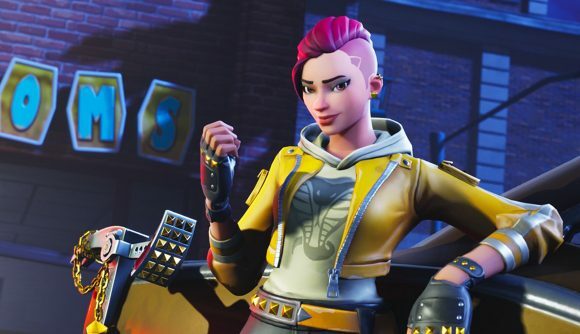 Sweeney says Epic is intimately familiar with the costs of distribution and bandwidth thanks to its experience handling it all internally with Fortnite on PC – and that the 30% cost doesn’t add up. Hence why Fortnite bypasses Steam altogether, and why publishers like EA and Ubisoft are trying to put games on their own platforms. Even Fallout 76 appears to be following suit. Promotion and curation can help small games stand out on dedicated store platforms, but a game as big as Epic’s battle royale probably doesn’t need the help. Fortnite total revenue certainly hasn’t suffered by skipping Steam, and the Android version will likely do just fine. Leaks suggest the Android edition will be out later this month. In the meantime, dig into our Fortnite season 5 week 4 challenge guide – you don’t want the mobile players to have a chance to take the lead, after all.